Rated 5 out of 5 by CKELLY from GREAT PRODUCT My brother loves this product. We can't find in stores that carry Clarins - so glad we can order on line! Rated 5 out of 5 by ElliottK from Excellent Hand Care The rich, non-oily formula is perfect for active hands. It provides lasting relief for dryness and chapping without leaving a grime that rubs off on everything you touch. The organic ingredients are soothing and have a very mild natural scent. Rated 4 out of 5 by Anonymous from Great hand cream As the previous comment, why don't you provide it with SPF? Rated 5 out of 5 by APTTR from Great Man Lotion! I bought this lotion for my husband since I love the "women's" version so much! It was non greasy and had a very subtle smell - he didn't think it smelled at all - and it helped to smooth out his rough, dry hands. He hasn't used it as religiously as I use mine, so I can't speak to the long term effects of continued use, but it has seemed like a great product! Rated 5 out of 5 by DonLeo from Best Hand Cream I've Tried!! I work at an Interactive Children's Museum and I'm in contact with many kinds of different liquids and materials. I could see my hands geting dryer and peeling off. I used women's hand cream to no avail. I apply a small amount of product in the morning and at night with a massage until I cant feel it anymore. Sometimes I reapply through the day if I feel its necessary. My hands are now soft and there is no more peeling. I event get compliments from my female coworkers, they can't stop touching them!. 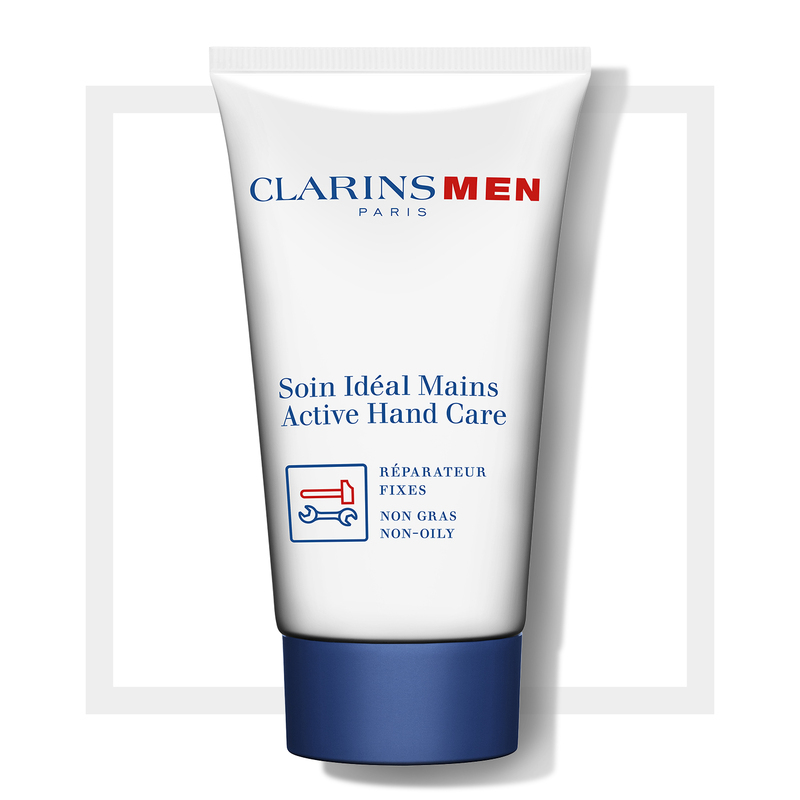 Rated 4 out of 5 by FBLee from Almost the Best Active Hand Care gives men the softness, smoothness, and moisturization of their hands. Its kind-of oily feeling is not so annoying or greasy as other companies' hand cream while gently providing the softness and smoothness which men seek of their hands. Nonetheless, Active Hand Care settles and is absorbed very fast where an oily sensation can last in a very short period of time. One suggestion: I hope that Clarins reformulate the product to add sun protection. Women have had some products of hand cream with the SPF protection. Men should have it in their hand cream, too!